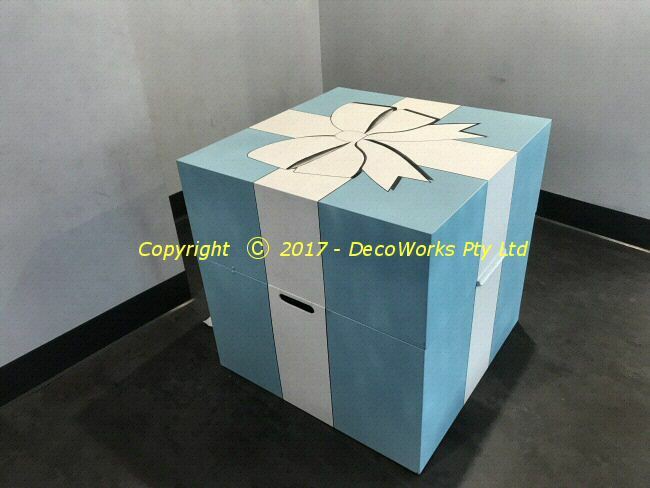 A dance prop in the form of an oversize Tiffany style gift box was required for a competitive dance routine. 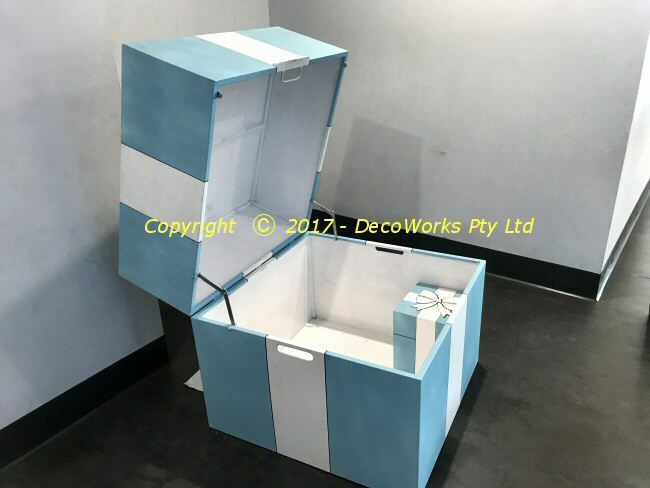 The box was to be big enough to conceal the dancer inside and light enough so it could be carried onstage for the routine with the dancer inside. It also had to be strong enough on the top so the dancer could perform her routine on the lid. 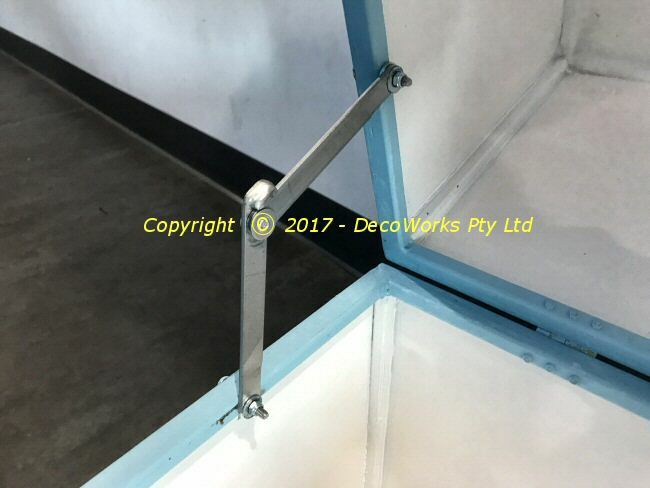 For rigidity the dance prop frame was constructed using 12mm hollow square steel with extra braces in the base and lid sections for additional support. To keep the weight as low as possible it was clad in 7mm marine ply which was liquid nailed to the frame. Small hand cutouts were cut in the sides to enable it to be carried and a small lip attached to the front of the lid to make opening it easier. When the dancer burst out of the oversize box by throwing open the lid it put considerable stress on the lid stays. These were custom made using 3mm flat steel to stop the lid opening too far so the dancer to get out and close it easily. Another 30cm square wooden replica of the oversize box was built to act as a step to facilitate the dancer stepping up onto the closed lid. This was incorporated into the routine to make the transition as seamless as possible. This entry was posted in Projects, Prop Making and tagged dance, props, tips. Bookmark the permalink.